We wouldn't have Bluetooth or Wi-Fi today without the ingenuity of an actress once described as the most beautiful woman in the world. And we might have had mobile messaging as early as 1901, were it not for the fickleness of a banker. 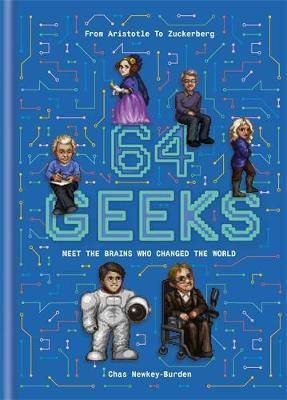 From celebrated prodigies and self-proclaimed geniuses to history's hidden heroes-64 GEEKS brings you the incredible stories of the world's best brains, all presented alongside clever 8-bit likenesses.